BPC 157 is one of many peptides available on the supplement market. However, what sets it apart from its competitors is the fact that it’s extracted from a gastrointestinal protective protein. So far, only rodent studies have been conducted on BPC-157 and they all agree on one thing; BPC-157 has powerful protective properties that encompass other areas of the body besides the stomach. Research data shows that BPC-157 can help heal ulcers, intestinal damage, joint, and bone damage, as well as treat a number of inflammatory disorders. It has even been shown to heal damaged organs and influence the brain. 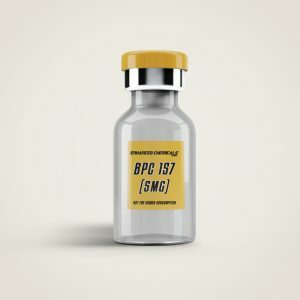 In certain research studies where PBC-157 was administered to poisoned or surgically damaged rats, the peptide was shown to have incredibly protective properties. Although additional research needs to be conducted in order to confirm BPC-157’s ability to heal multiple levels of the body, there’s enough evidence to confirm that it has a positive effect on angiogenesis growth factors. Angiogenesis refers to the process through which blood vessels are developed in the body and it plays an important role in healing damaged tissue. All of this is good and well, but it’s based only on animal studies. Additional research needs to be conducted to show if BPC-157 has the same effects on humans. 4 BPC-157 Dosage: What is the best Dosage for optimal results? Research on BPC-157 has been on-going since 1991 and results thereof indicate that the peptide has the ability to repair damaged teeth, bones, muscles, tendons, and even intestines. This data is based on in-vitro lab tests as well as in-vivo studies conducted on both rodents and humans. Some of the human trials involved injecting the peptide under the skin (subcutaneously) and into the muscles (intramuscularly). It fast-tracked the healing of segmental bone defect in rabbits. Scientists recognize BPC-157 as a “stable gastric pentadecapeptide”, due to its ability to bring equilibrium to human gastric juice. It has also been shown to treat ulcers, heal inflammatory bowel disease as well as the upper and lower GI tract with remarkable efficiency. The best part is that BPC-157 doesn’t come with any adverse side-effects! The abovementioned studies all indicate that BPC-157 works great when it comes to fast-tracking wound healing. Through its positive interaction with the Nitric Oxide (NO) system, BPC-157 helps heal wounds by building up the blood vessels and protecting the endothelial tissue. It also promotes gene expression while specifically targeting genes that are responsible for collagen formation, generation of growth factor and cytokine. It can also heal intestinal anastomosis and short bowel syndrome. All of the abovementioned conditions are known to affect sufferers of bowel inflammation, diarrhea, constipation, and gut pain. These positive effects have been observed even in conditions that had reached advanced stages. Below you will find a video about BPC-157 and TB-500 for healing purposes. A lot of questions are being answers about what BPC-157 is and how you can use it. This is, of course, all anecdotal and user experience. So far, no side effects have been observed from the use of BPC-157. Although there have been reports of mild sickness or nausea among users, both effects were later attributed to being the result of the body acclimating itself to the peptide. Aside from that, BPC-157 is very safe and has incredible healing properties that positively affect the organs. Even clinical phase 2 research results have shown no side effects. The best way to source BPC-157 at the moment is through one of the many online suppliers that exist. However, as with any online purchase, you’ll have to do some research and be careful. You’ll most likely find it advertised on cheesy websites that don’t really look like much, because technically no-one’s allowed to sell this stuff for human use. BPC-157 Dosage: What is the best Dosage for optimal results? Based on the research conducted on BPC-157 thus far, a single dosage of 1-10 mcg per kg of body weight taken once daily is the best way to go. This brings the most systematic benefit for the body and translates to 200-800 mcg per day depending on the individual’s body weight. Most people who’ve taken it say they derive the most benefit when they take it in dosages of 250-350 mcg twice per day, which translates to 500-700 mcg per day in total. Below you will find a simple but effective BPC-157 dosage plan for healing purposes. This is for people that are willing to recover from a insury like a pec tear or have bad elbows from training hard in the gym or even in other sports like Golf and Tennis. This shows that there’s no one size fits all approach when it comes to the dosage recommendation, and it all depends on the individual. It’s worth mentioning here that some of the mild reactions mostly happened in cases where a higher dosage of the peptide was taken. However, they only lasted for a few hours at a time and dissipated with a lower dose. So proceed with caution and if you experience any side-effects reduce the dose until you find something that works for you. In this video Coach Trevor from Enhanced Athlete will tell you how to use BPC-157 and TB-500 for healing a pectoral tear. As previously mentioned, BPC-157 has a systemic effect on the body. The subcutaneous method is the easiest and least painful because it involves inserting the injection under the skin, preferably in an area as close to the injury or pain-point as possible. Alternatively, you can inject BPC-157 intramuscularly, which means stabbing the needle right into the muscle. Needless to say, this is a very painful method, especially when you consider that it’s typically done in an area that’s close to the injury as well. By far the easiest method is to spray the peptide into your mouth. Just make sure to hold the liquid inside your mouth for about 90 to 120 seconds before swallowing. If you’re okay with needles then you can always opt for a subcutaneous needle instead. All you have to do is pinch an area of the skin as close as possible to the injury, making sure to angle the needle so that it sort of “slips” underneath the area of the skin that you’ve pinched and not directly onto it. This can be a bit difficult to do so it might be a good idea to get someone to help you out with it. Remember to use an alcohol swab to clean the area of the skin that you’re about to inject, as well as the rubber stopper before and after the injection. The most painful yet equally effective method that you can choose is the intramuscular injection. Similar to subcutaneous injections, this method requires that you clean the rubber stopper and the part of the skin that you’re about to inject with an alcohol swab. However, you’ll be stabbing the skin with the needle instead of working it in like you would with the subcutaneous method. Keep in mind that you’ll be administering the needle as close to the affected area as possible, which might add to the pain. But, thinking happy thoughts have been shown to help in some instances although we can’t guarantee the efficacy of that method. On the bright side, this method will enable the peptide to work quickly and accelerate healing. After reading all the information on this article, you’re probably wondering to yourself why no-one has told you about this incredibly healing peptide yet. One of the problems is that BPC-157 is not patentable which means the pharmaceutical industry cannot make money from it. Even your doctor probably doesn’t know about it because it’s not being marketed, and since it’s not regulated by the FDA, BPC-157 technically isn’t allowed to be sold for human use. And this is regardless of the fact that BPC-157 is a natural gastric juice peptide. The good news is that BPC-157 hasn’t been banned by sports governing bodies like WADA and USADA. This means that athletes and bodybuilders can still take it and benefit from its healing properties. But the lack of long-term human studies on BPC-157 means there’s a possibility of it becoming prohibited by these governing bodies in the future. Nevertheless, BPC-157 is pretty safe to take, as no adverse side effects have been shown in the short-term clinical trials that have been conducted so far. So if you have a problem with gut inflammation, injuries or any of the conditions mentioned in this article, then you might want to consider it as a form of treatment. Evolution Peptides Review: The Best Place To Buy Peptides? 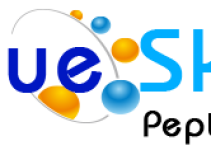 BlueSky Peptides: What Does The Community Say? 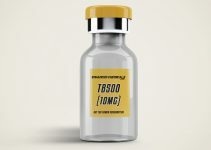 TB-500 Review: How it works, dosages and side effects. Really nice work, would you advice stacking it with TB-500?